We are happy to report that two critical pieces of legislation sponsored by the AMA have been signed by the Governor. Both bills were introduced at the direction of the AMA government affairs committee and the Board of Directors. In addition to being the primary sponsor for the two industry bills, we also actively engaged in dozens of other bills that would have a direct or indirect impact on the apartment industry. The AMA’s first proactive bill, HB2039 (finder fees; apartment tenants) introduced by Representative Jeff Weninger (R-Chandler), eliminates the $200 cap on apartment “finder fees,” and will also eliminate the annual (five times per year) limitation that has been in place since 2010. When the new law takes effect, which will probably be sometime in July depending on when the legislature adjourns, apartment operators will be authorized to provide unlimited referral fees (in the form of a rent credit) to tenants who refer future residents. Prior to the passage of the new law, owners and managers were limited to a $200 finder fee awarded no more than five times per year. While the bill removes the fee limitations, it does preserve all of the current regulations related to unlicensed activity by the referring tenants. For example, tenants, or any unlicensed person for that matter, will still be prohibited from advertising or promoting tenant procurement services. Referring tenants will also be prohibited from showing a residential dwelling unit and discussing the leasing terms and conditions with a prospective lessee. Arizona now joins only a handful of states that allow apartment operators to provide unlimited referral fees to their residents. The second AMA proactive bill signed into law by the Governor was actually more of a defensive measure after a proposed court rule could have severely limited landlords’ rights in eviction actions. HB2237 introduced by Representative Eddie Farnsworth (R-Mesa) prohibits any court or agency from requiring specific forms for notices or pleadings in eviction actions. 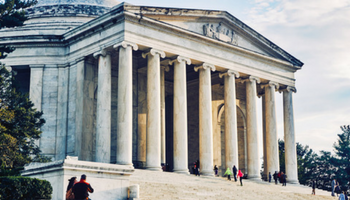 The AMA sought a legislative solution after a Court-appointed commission proposed an amendment to court rules to require all landlords and tenants to use court-created forms for all notices and pleadings. This would include 5-day and 10-day notices, 30- day notices, et cetera. 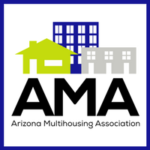 The AMA ultimately concluded that the proposed petition to require the use of court-created forms would have the undue effect of slowing the eviction process for property owners, and most importantly could have limited the rights of landlords granted under the Arizona Residential Landlord and Tenant Act. This year, the AMA joined a broad coalition to preserve a key development tool, commonly referred to as GPLET, offered by cities and towns across the state. The coalition was able to work with the bill sponsor and stakeholders to preserve key features of the incentive program. HB2213 (GPLET reform; K-12 taxes) in its original form, would have placed new limitations on new development receiving a Government Property Lease Excise Tax (“GPLET”) incentive from a city or town, and would have effectively made the GPLET program virtually unworkable and unmeaningful for future developments. The GPLET is a tax incentive agreement negotiated between a private party and a local government. It was established by the state of Arizona in 1996 as a way to stimulate development in central business districts by temporarily replacing a building’s property tax with an excise tax. GPLET is levied on property that is owned by a city, town, county or stadium district and leased to a private entity. The tenant, or prime lessee, pays an excise tax based on size and use instead of property tax based on value. In 2010, the state reformed GPLET and restricted leases to 25 years, including an eight-year tax abatement. The GPLET incentive program has been used by several multi-family development projects over the past few years and remains as the only meaningful incentive authorized by the state. This year we also saw a bill introduced that would have had a detrimental impact on the rental housing industry. SB1358 (municipalities; counties; rent control; seniors), introduced by Senator Katie Hobbs, would have allowed cities and towns to adopt rent control ordinances for housing units that are rented to individuals that are sixty-two years of age or older. While the bill was dead on arrival, SB1358 is a stark reminder of the harmful legislation that is considered by lawmakers every year. Arizona is currently one of only a handful of states that currently prohibits its cities and towns from adopting rent control ordinances. This article was originally published in the April/May 2017 issue of Apartment News, the official print publication of the Arizona Multihousing Association. To order copies of this magazine, contact the AMA.